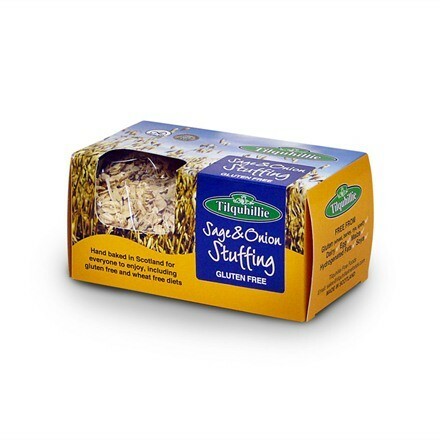 Gordon Rhodes specially blended gourmet gluten free sage and onion stuffing is made with gluten free breadcrumbs. It is a tasty twist on the traditional stuffing and means that all the family can sit together to enjoy a Sunday roast or Christmas dinner without concern about gluten or cross contamination. INGREDIENTS: Gluten Free Breadcrumb (rice four, gram flour, maize starch, dextrose) (70%), Dried Onion (14%), Rice Flour, Salt, Sage (2%), Sugar, onion powder, Parsley, Yeast Extract, White Pepper.